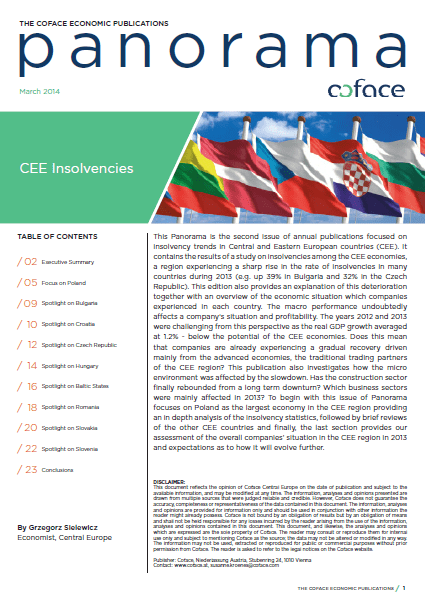 In this panorama, you will find the results of a study on insolvencies among the CEE economies, a region experiencing a sharp rise in the rate of insolvencies in many countries during 2013. This edition also provides an explanation of this deterioration together with an overview of the economic situation which companies experienced in each country. In the last section, you will discover the Coface assessment of the overall companies’ situation in the CEE region in 2013 and expectations as to how it will evolve further.